LE STANZE DEL CORSO are exclusive and elegant locations in Vicenza’s heart. Our rooms are located in Palazzetto Capra Lampertico, historical building designed by Ottone Calderari, Andrea Palladio’s disciple and one of the most influential architect of the Venetian Republic. The Palazzetto follows perfectly Palladianism in terms of rules, dimensions, details and finishing touches. 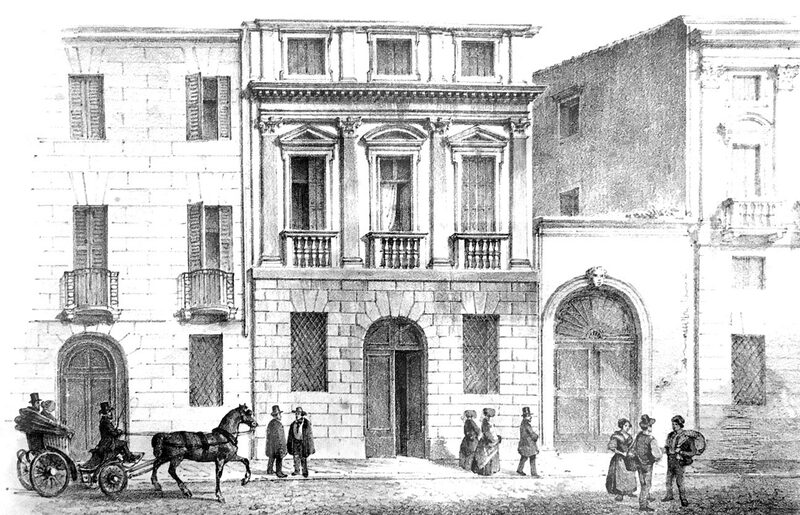 Dated in the XIX first decade, the building is located in the very heart of the city centre and, in particular, along the main commercial, touristic and important street, Corso Andrea Palladio. As Roman city planning teaches, every Italian cities must be built according to Decumanus. A little explain about it: a Decumanus was an east-west-oriented road in a Roman city where the Decumanus Maximus, in our case Corso Andrea Palladio, normally connected main “Porta Pretoria” (the closest to enemy) with Porta Decumana (opposite side). Thanks to the presence of numbers of historical monuments, such as Basilica Palladiana, Teatro Olimpico, Piazza dei Signori or Palazzo Chiericati, and thanks to numbers of stunning private houses too, this street become soon one of the most 19th century elegant street in Europe. Vicenza and Palladio, the greatest architect universally known for his unique style, are without any doubts such an incredible duo. Are you aware that Washington D.C. White House was built according to Palladianism style? Thomas Jefferson, for example, was a great Palladio evaluator and Johann Goethe in his “Italian journey” said about the architect: “There must be something absolutely divine in his projects”. Come to visit and discovered Vicenza. Scattered throughout the perimeter and more, 24 unique Villas and numbers of historical monuments are available now.